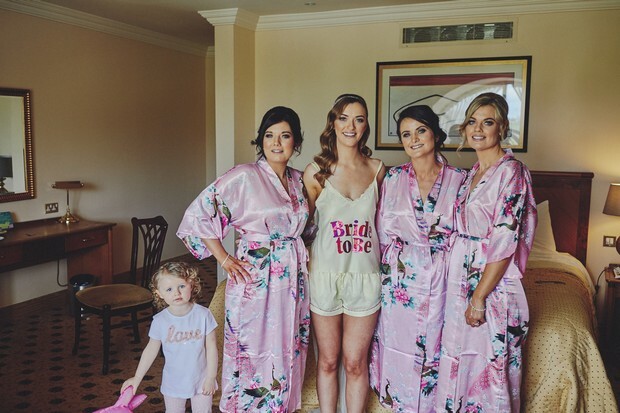 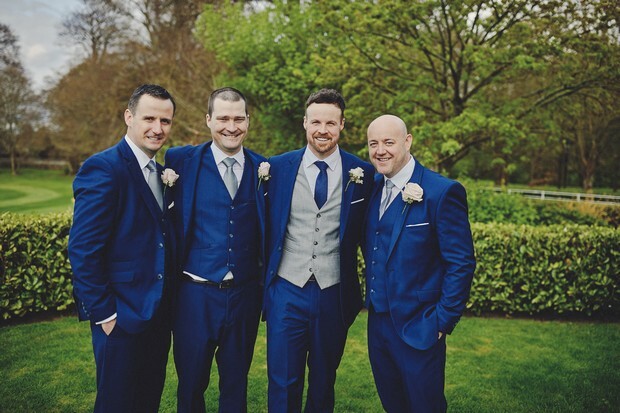 We met… through mutual friends on a night out 9 years ago. 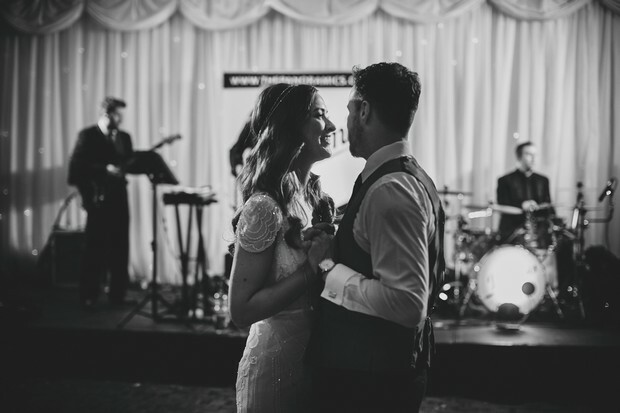 We clicked straight away and both knew there was a spark. 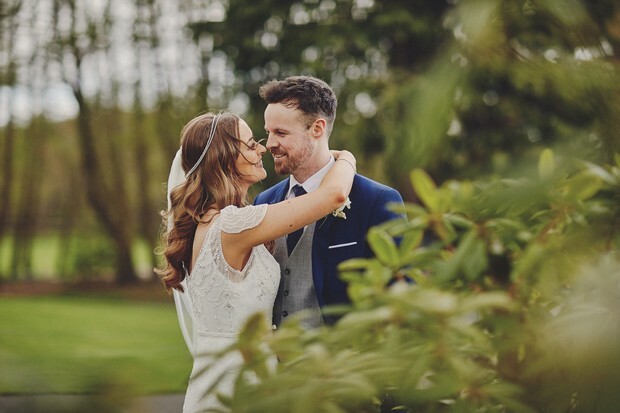 Our proposal… Eric surprised me with a weekend away for my birthday to Glasson Country House Hotel. 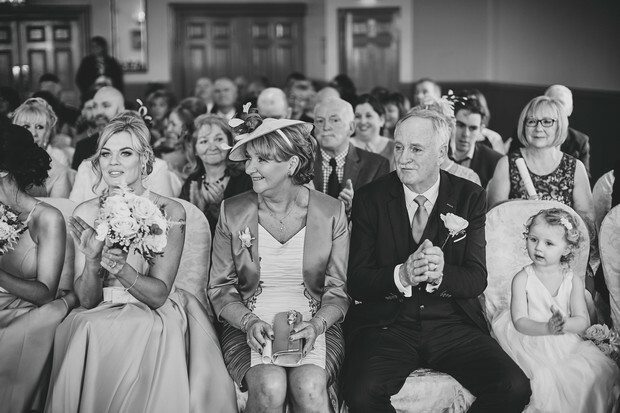 I didn’t think anything of it as we usually would go away on my birthday as it falls around the Easter weekend. 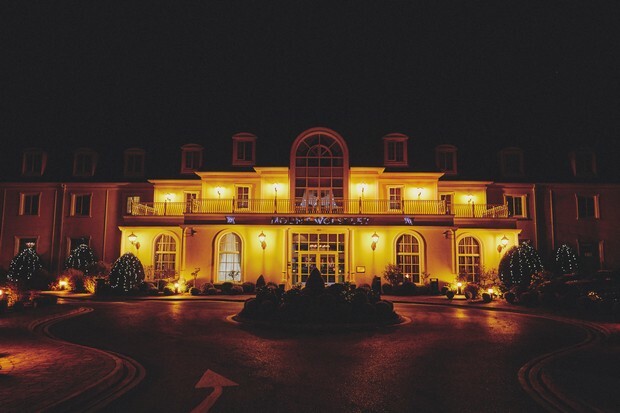 The hotel was gorgeous and we were upgraded to a suite which was amazing. 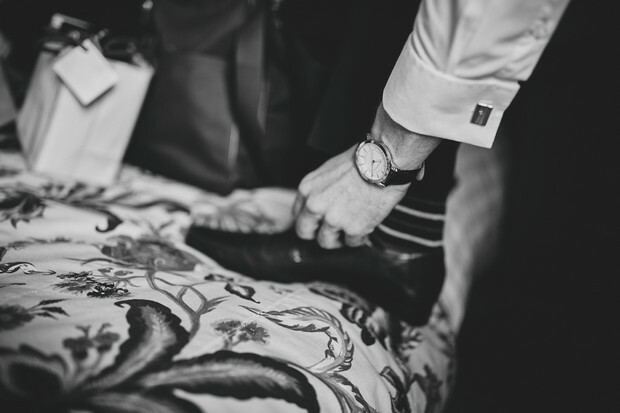 We went down for dinner that evening and Eric said he had forgotten something in the room so went up. 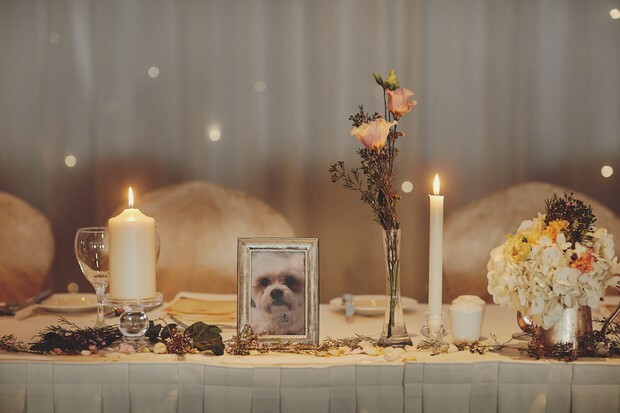 As soon as I opened the door I was greeted by a candle pathway in to the room and flowers and petals everywhere and turned to find Eric on his knee. 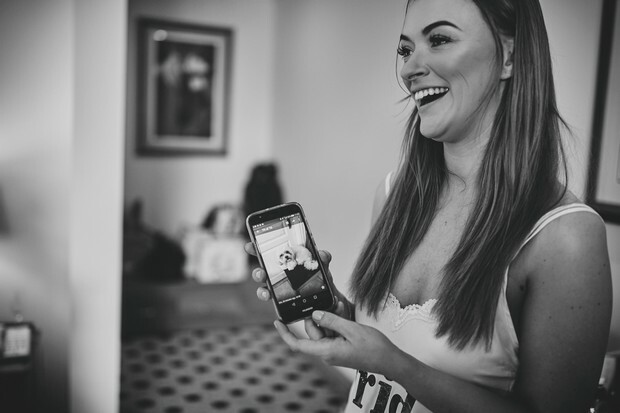 I was completely in shock and of course said ‘Yes’ straight away! 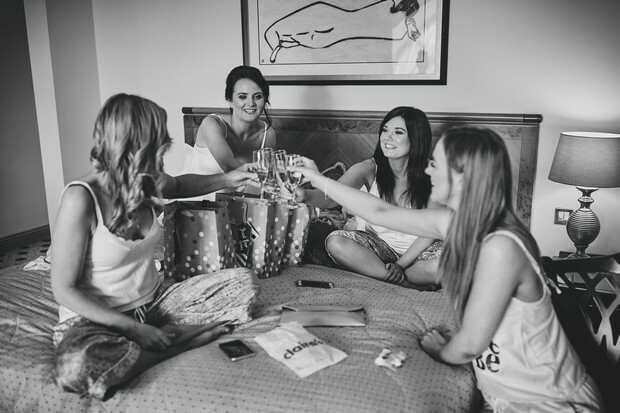 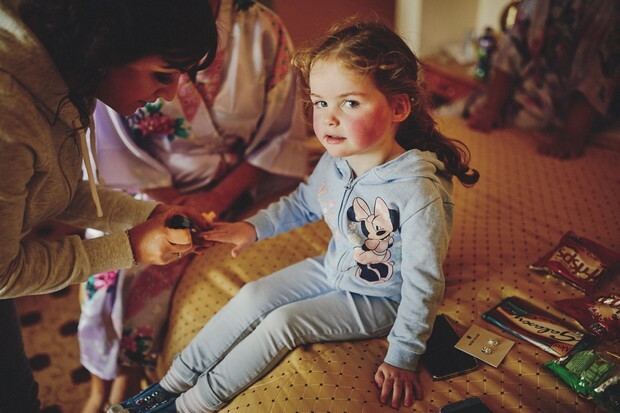 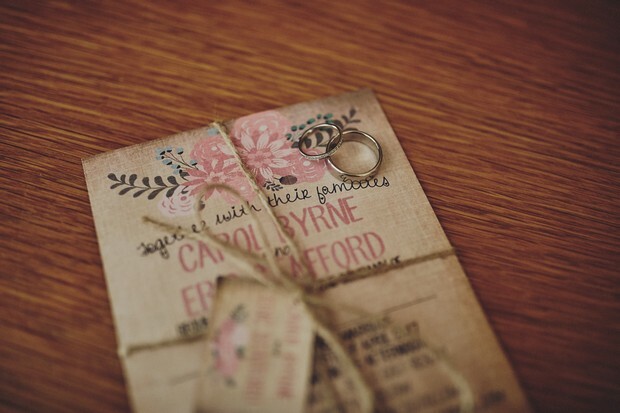 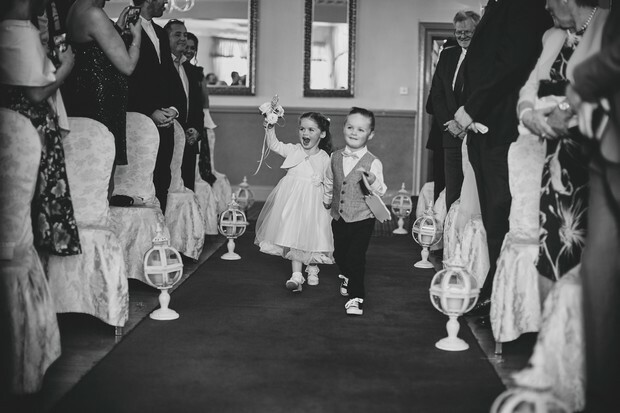 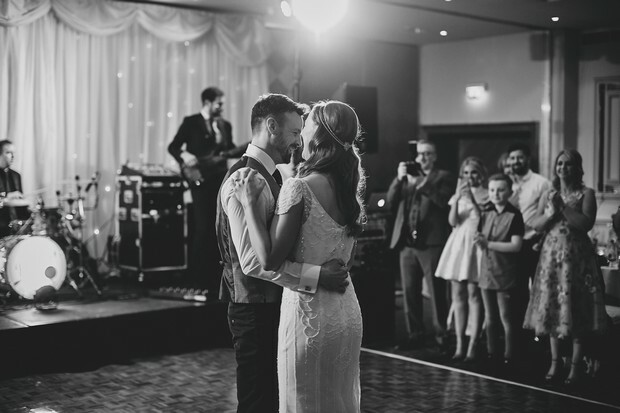 Our Wedding Theme/Style… We both wanted our wedding to be relaxed, informal and fun for both our family and friends. 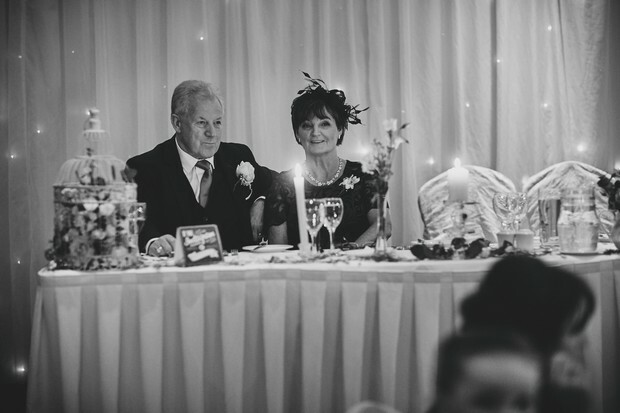 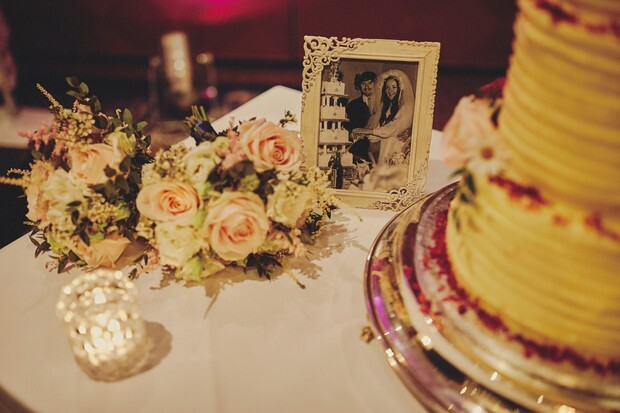 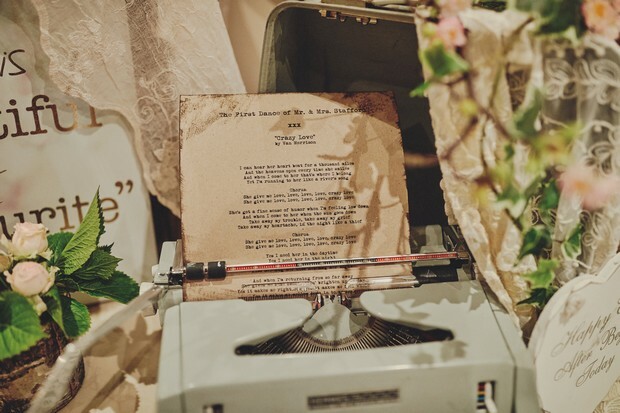 The look we went for was a vintage feel, with gorgeous props and flowers placed all over the venue. 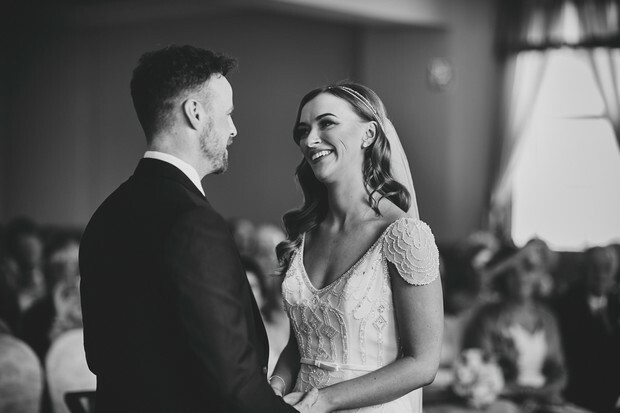 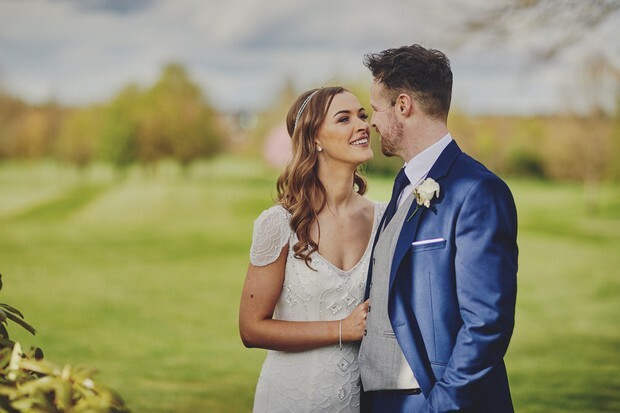 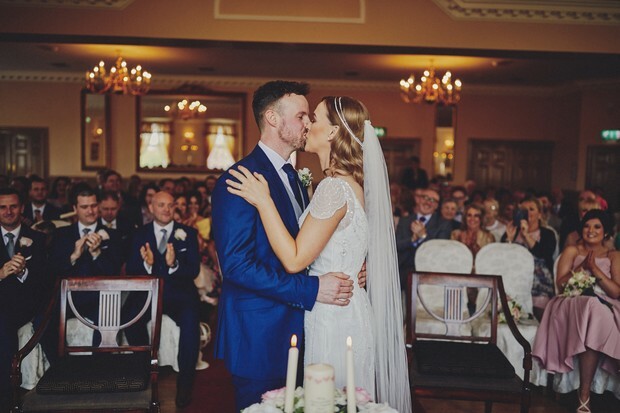 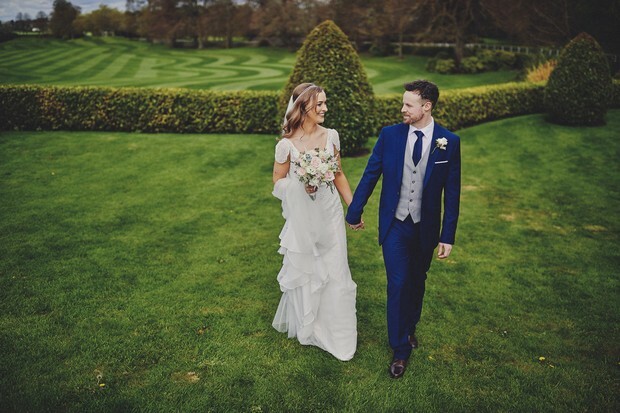 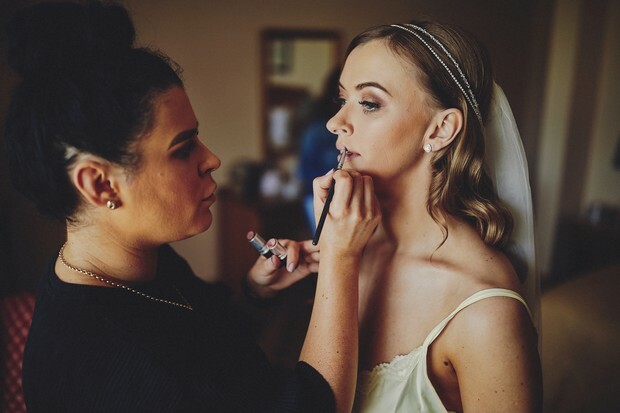 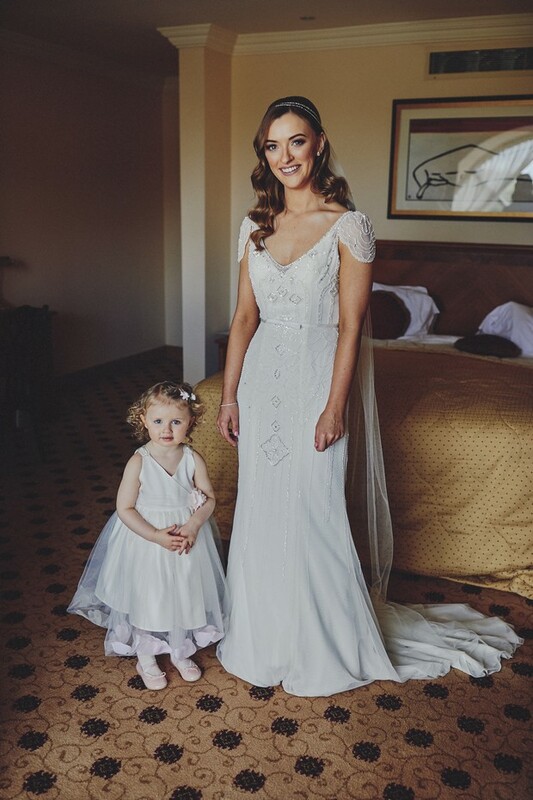 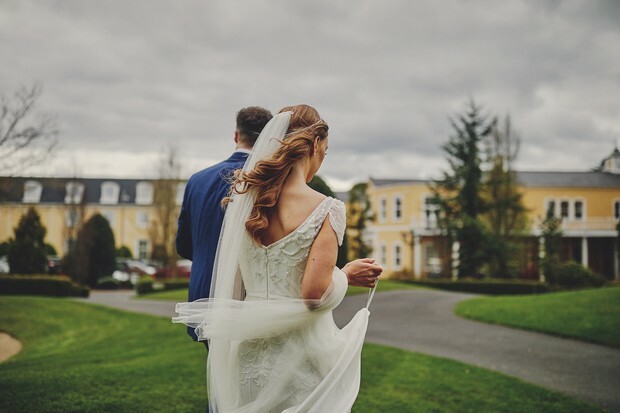 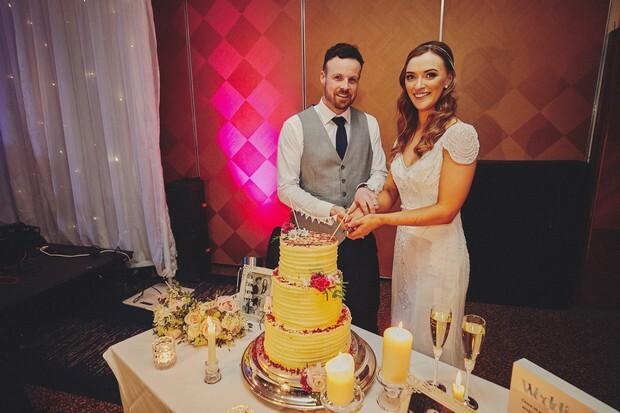 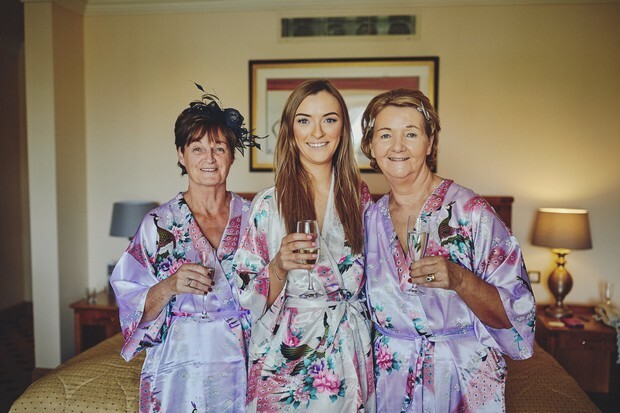 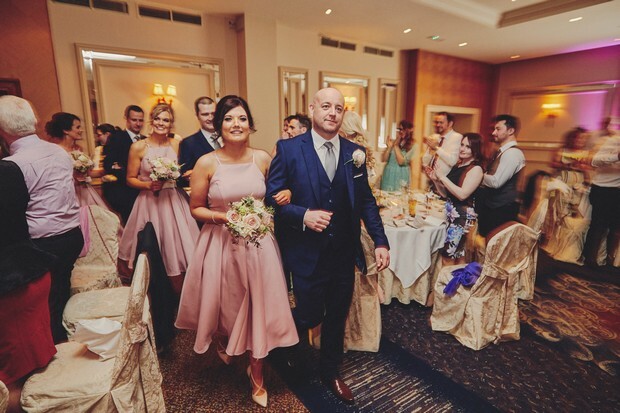 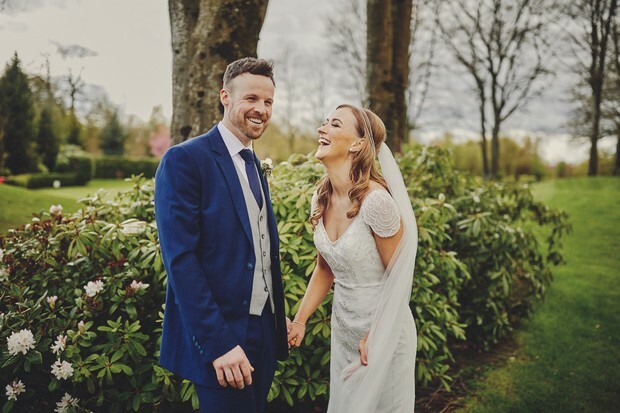 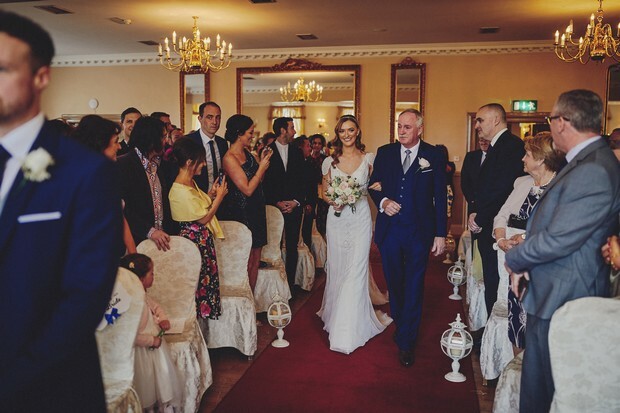 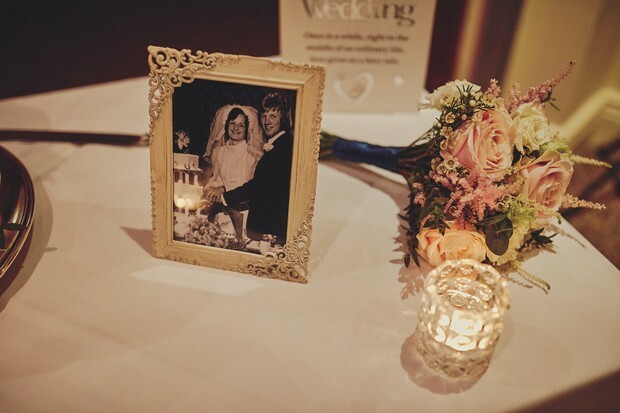 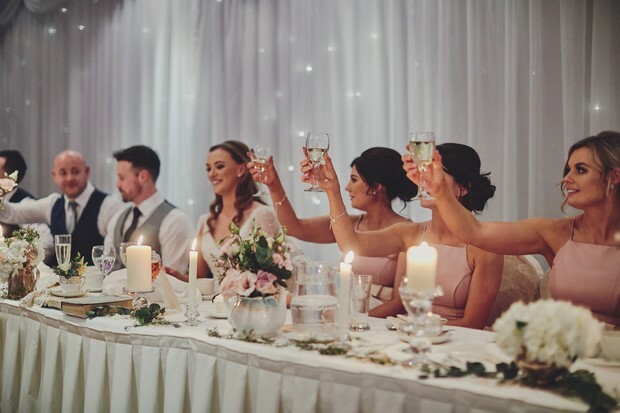 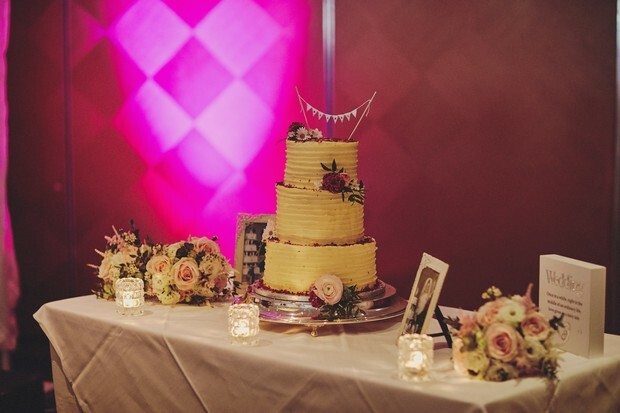 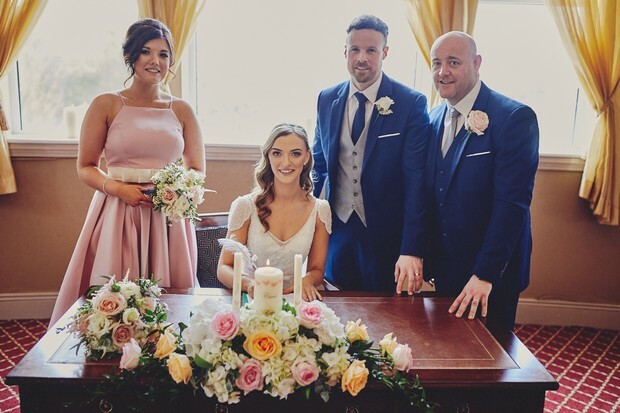 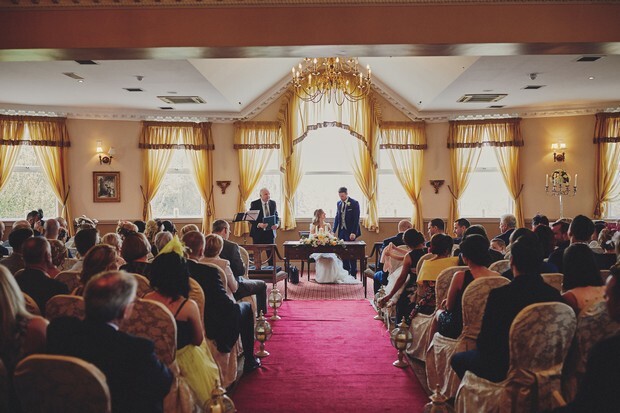 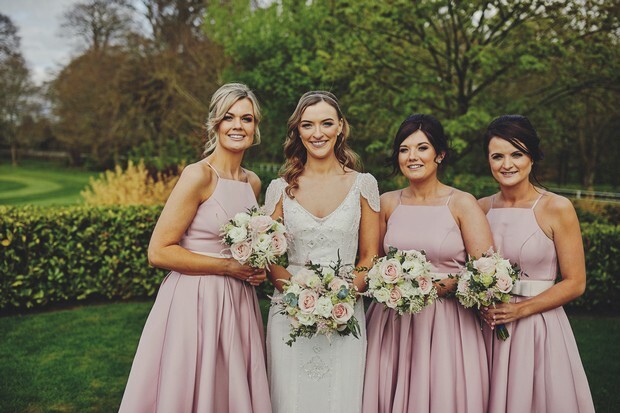 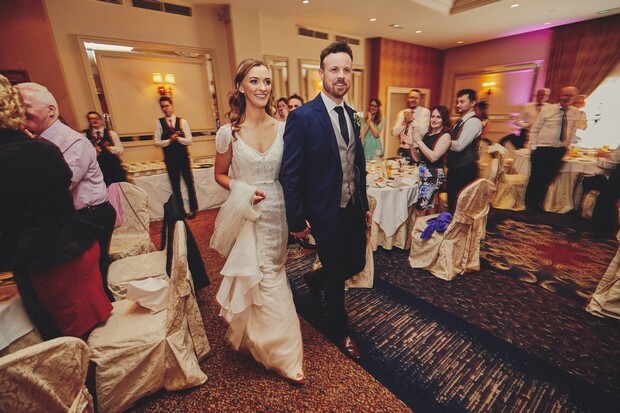 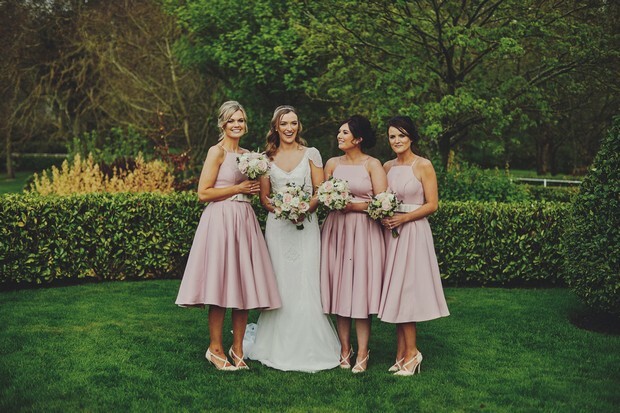 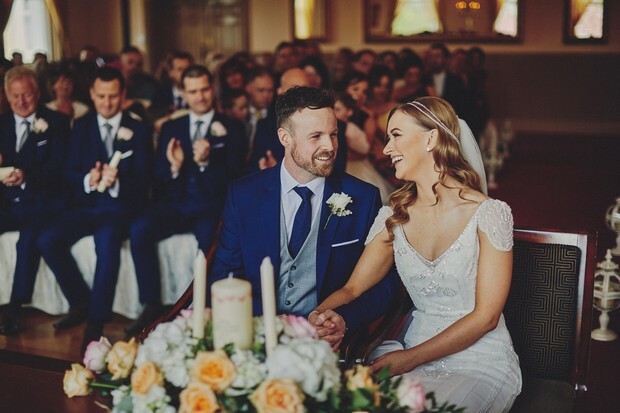 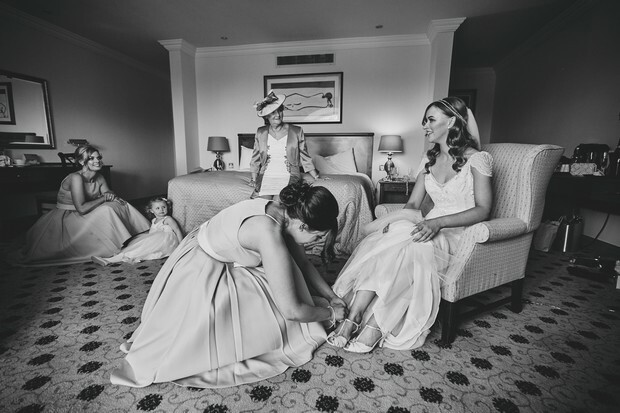 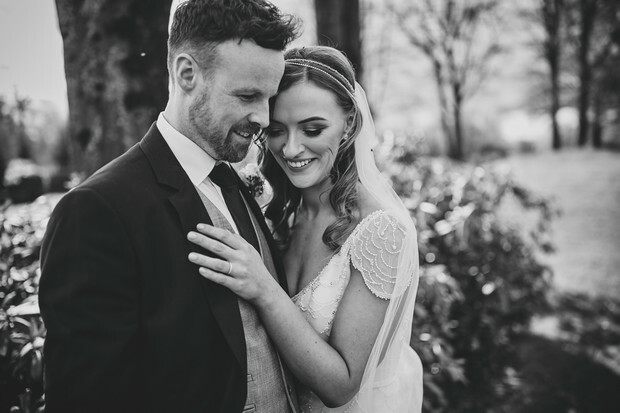 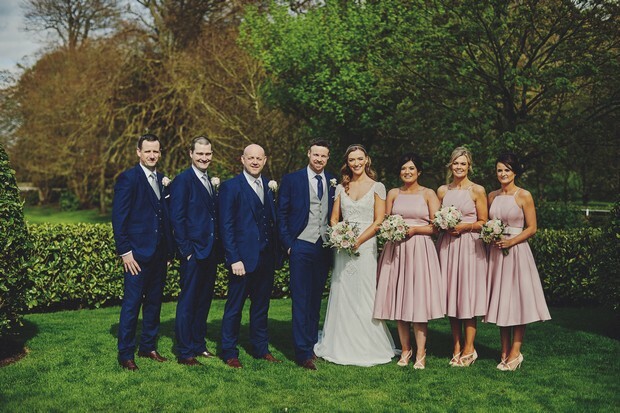 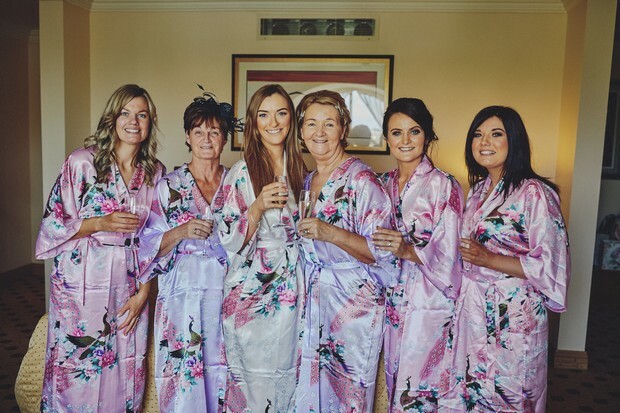 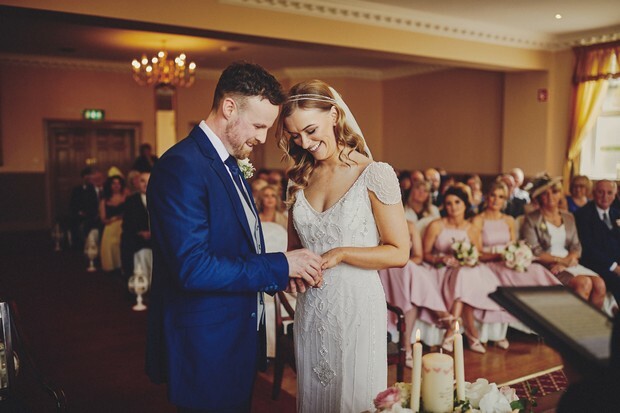 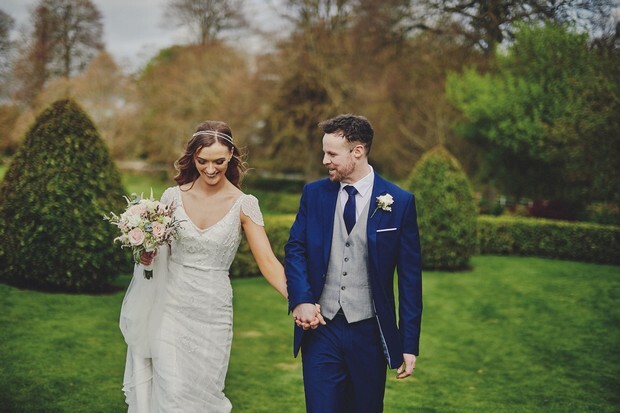 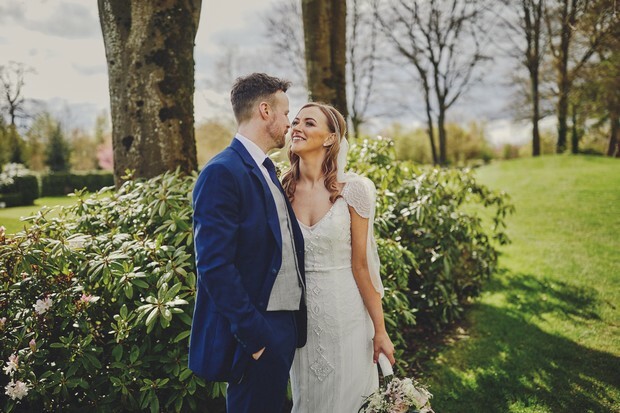 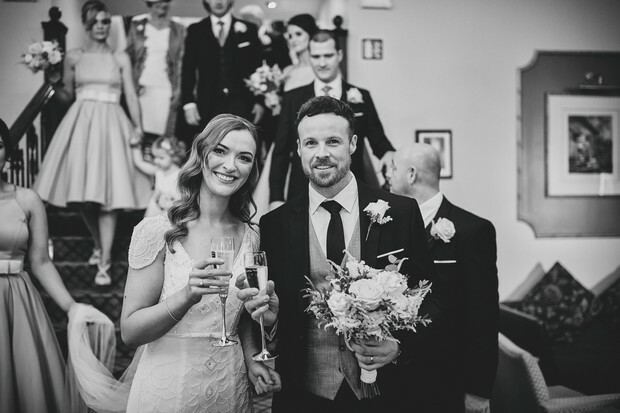 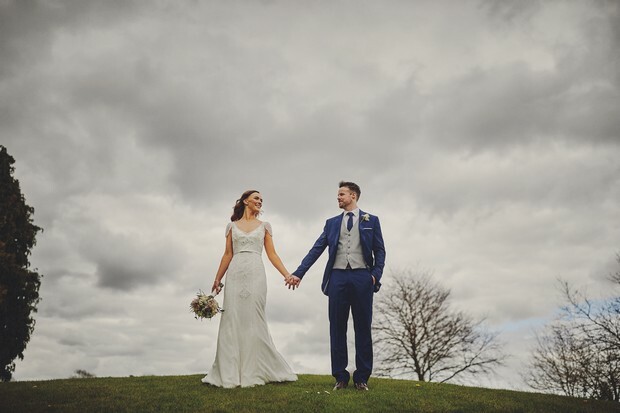 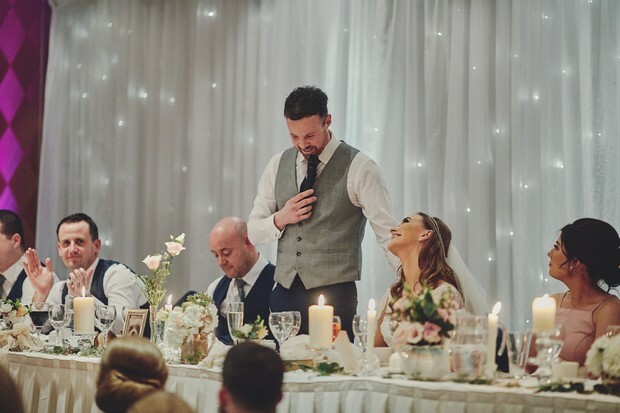 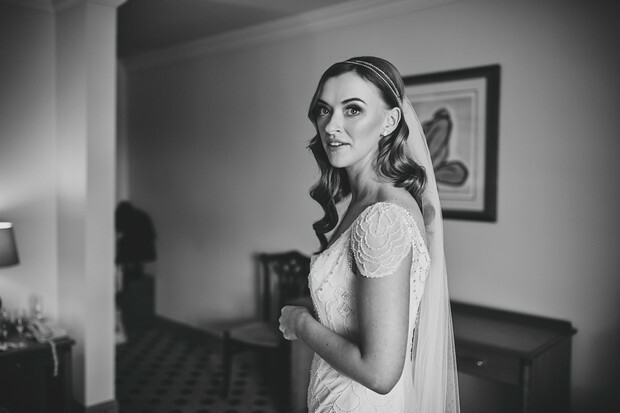 We chose our venue because… One of the main reasons we chose Mount Wolseley is that they had a gorgeous room separate from the main wedding reception room where our ceremony could be held. 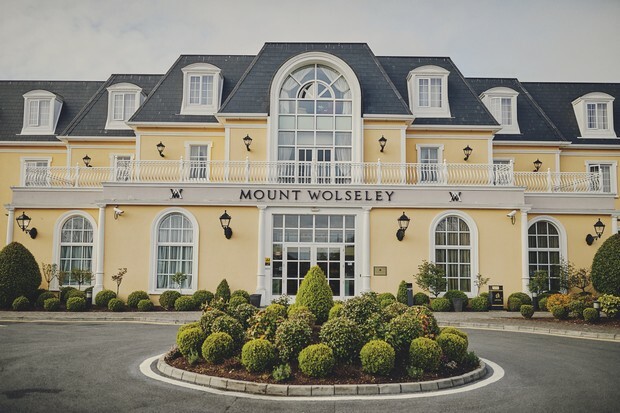 Mount Wolseley’s wedding area is also separate to the main hotel lobby which was a big plus for us. 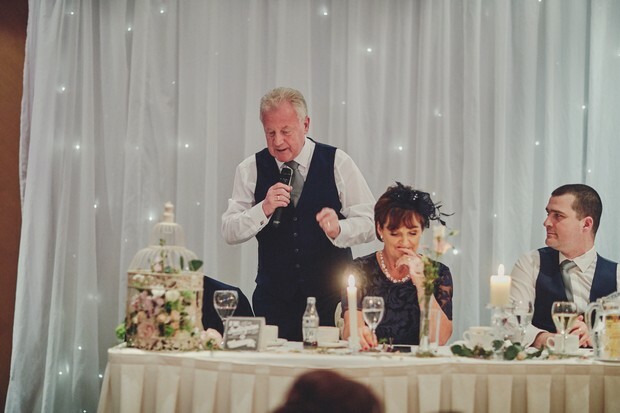 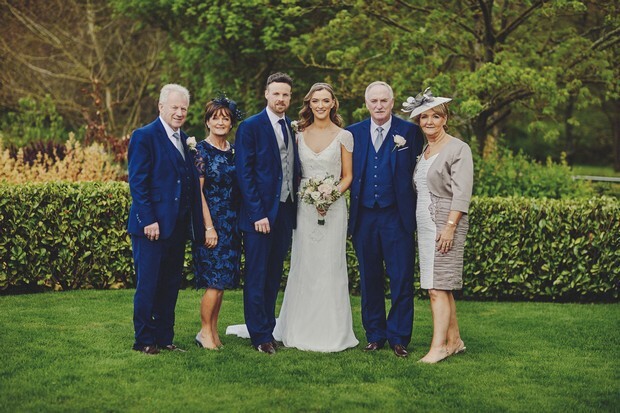 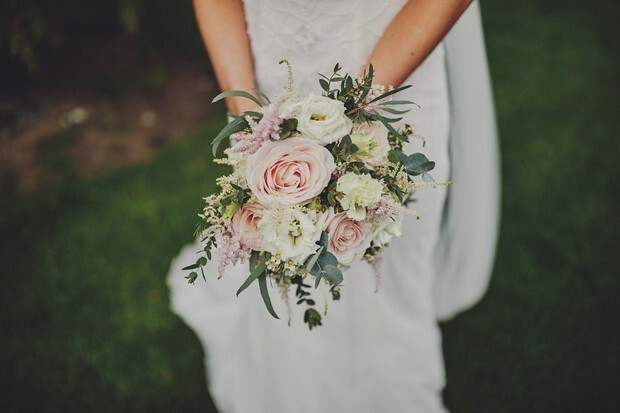 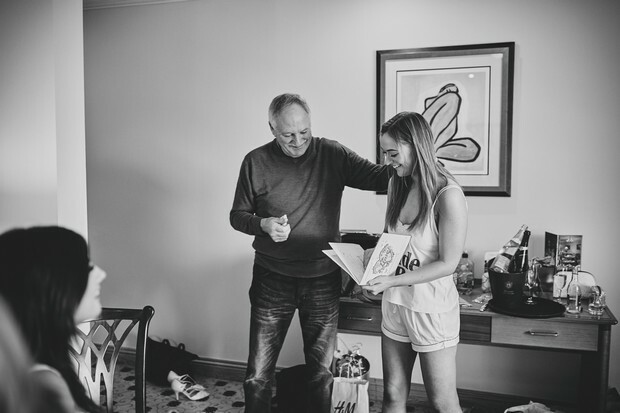 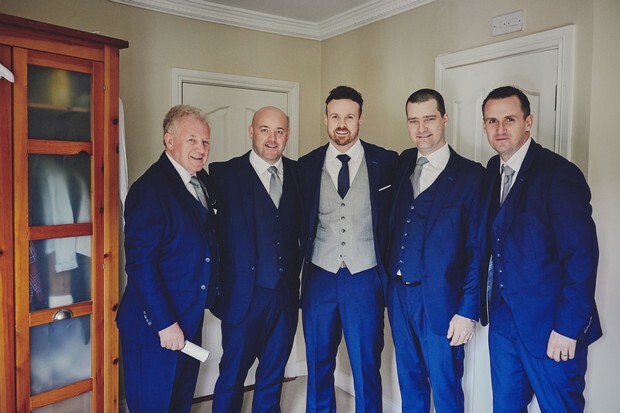 Our wedding planner Gill Long couldn’t do enough for us either, no task was too big or small and we knew our day was in safe hands with her and her team. 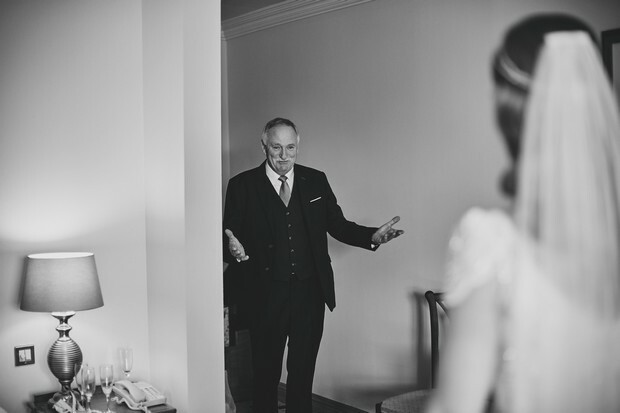 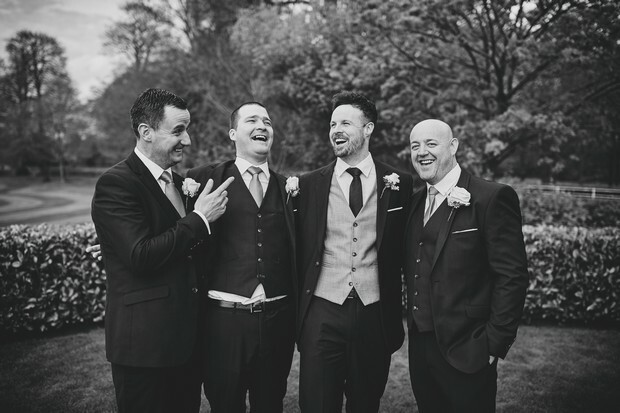 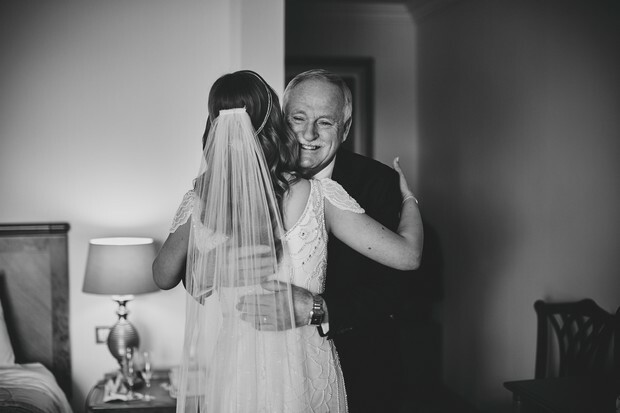 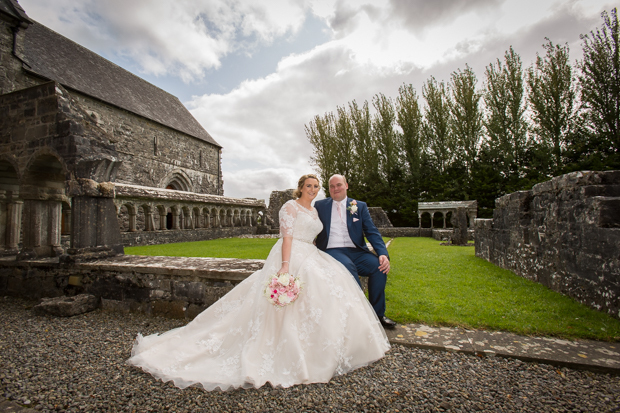 Our photographer… Daniel from DKPHOTO was a pleasure to deal with from the very beginning. 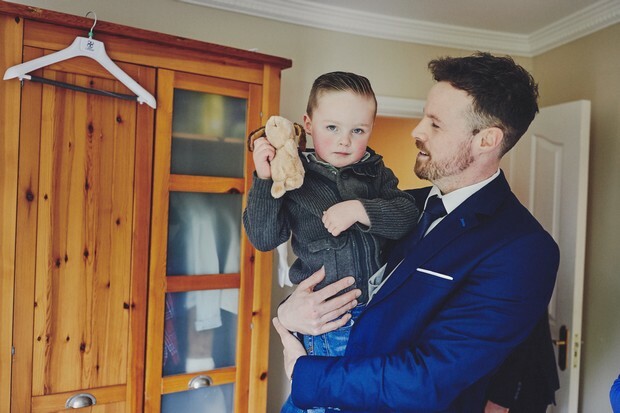 He was very responsive to emails and any queries I had on the lead up the day and we both knew we would be in safe hands with him. 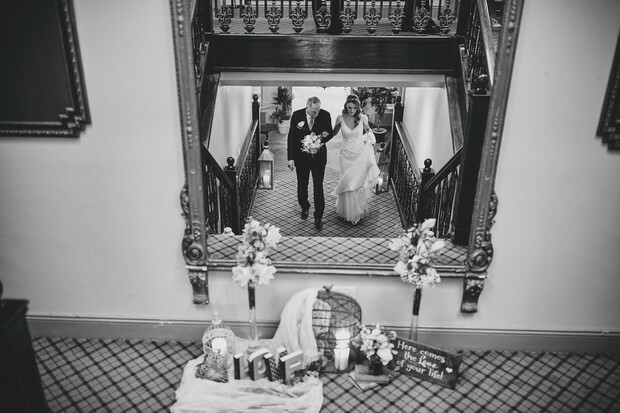 On the day, Daniel made us feel so relaxed and comfortable and you would hardly notice that he was there capturing all the magical moments. 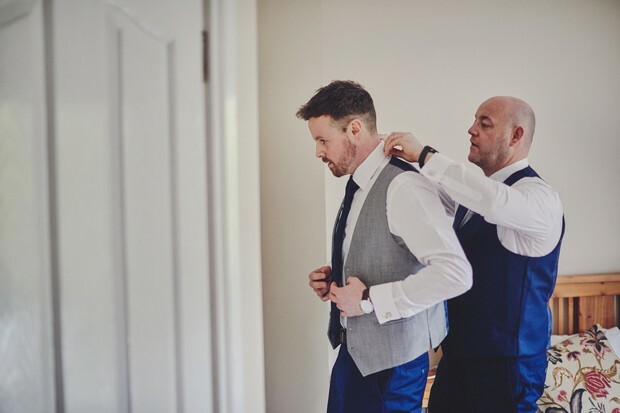 He was extremely professional, organised and friendly. 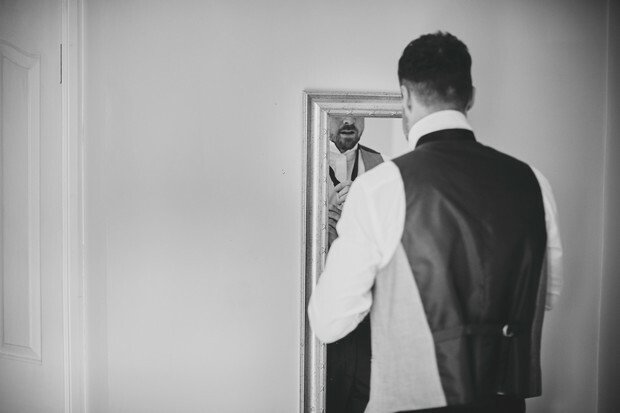 His style of photography was exactly what we were looking for. 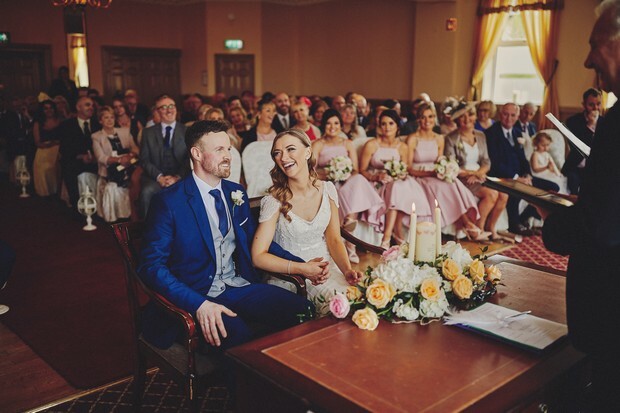 I can’t get over the quality of the photos that we have received and I am already struggling to pick what ones to select for the album as I love them all so much! 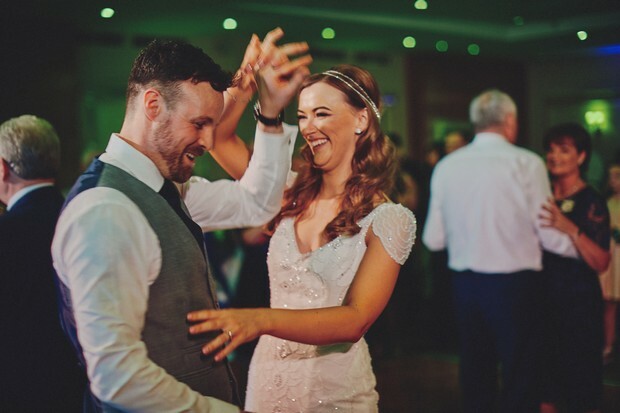 We also used Daniel’s photo booth service which was so much fun for our guests. 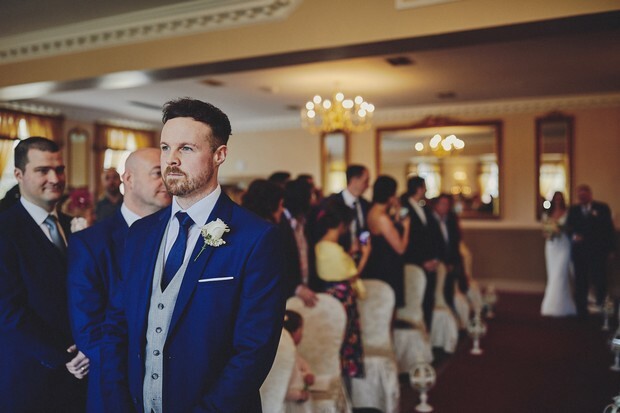 Myself and my husband would 100% recommend Daniel to any upcoming wedding couple, you will not be disappointed on quality or service. 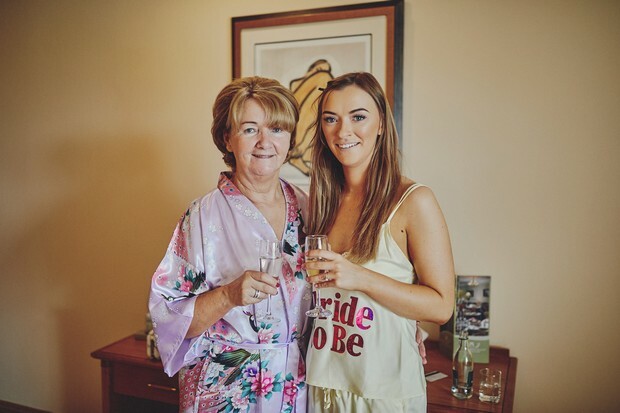 Our honeymoon… We went to Dubai for two nights and then on to three different areas in Phuket – Khao Lak, Elephant Hills and Karon Beach. 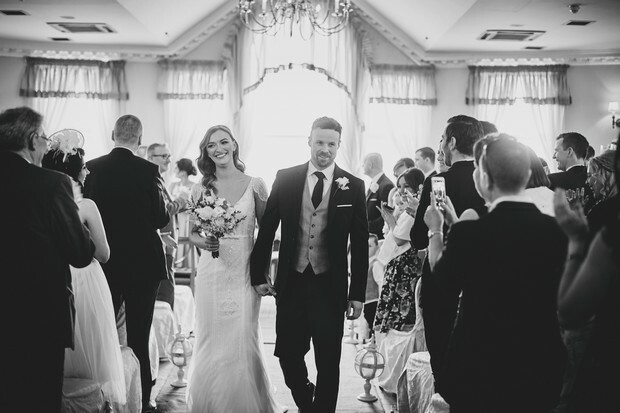 It was an amazing honeymoon. 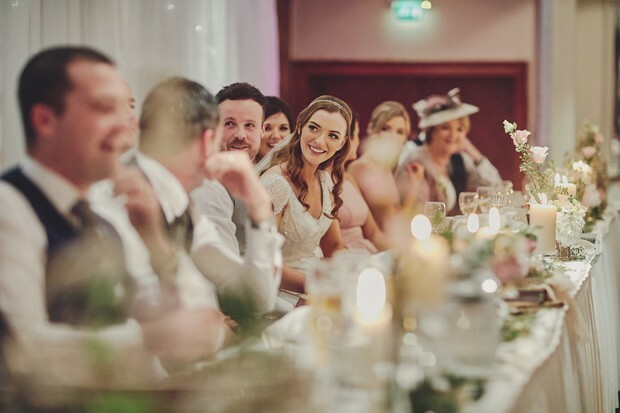 Our priorities… We wanted to make sure we had time to enjoy parts of our wedding like the reception with our family and friends. 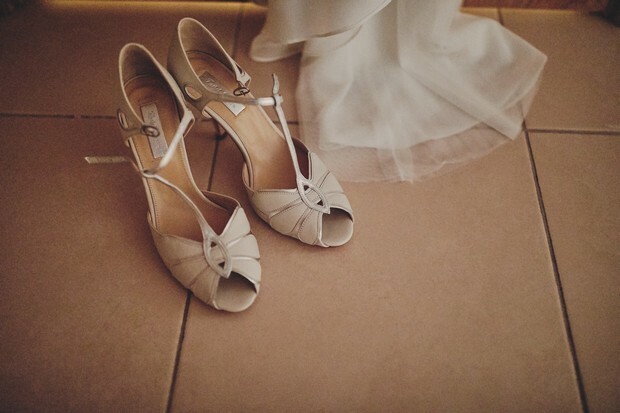 We wanted the day to feel relaxed for everyone, good food, music and company to celebrate our special day. 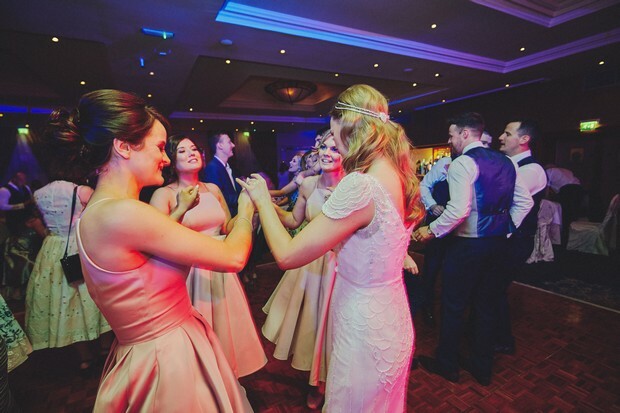 It was important for us to have a good band that would have everyone up dancing all night (we had The Panoramics) and also an amazing photographer to capture all our special moments. 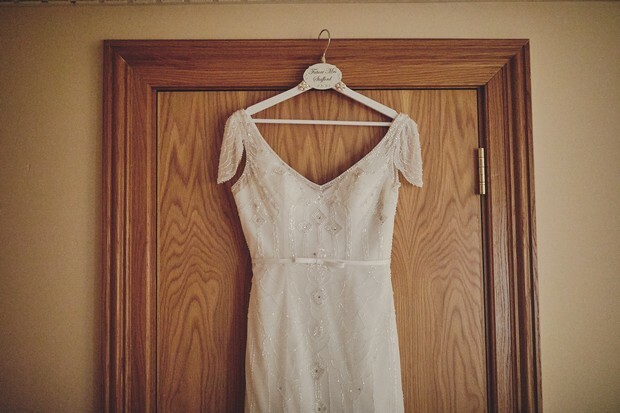 My piece of advice for other couples… Don’t stress! 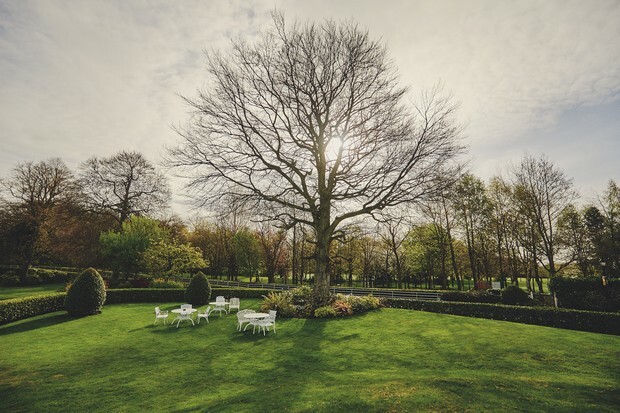 The day goes by so quickly, make sure to pause and take it all in and enjoy every second.